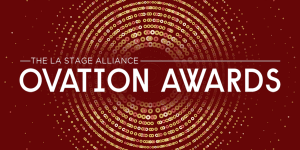 LA STAGE Alliance has announced that the 27th Annual Ovation Awards ceremony will be held on Tuesday, January 17, 2017 at the Ahmanson Theatre at The Music Center. Red carpet arrivals begin at 6pm and the curtain will rise at 7:30pm. A reception in the Grand Hall of the Dorothy Chandler Pavilion will follow the ceremony. Founded in 1989, the LA STAGE Alliance Ovation Awards are the only peer-judged theatre awards in Los Angeles. Voters are Los Angeles theatre professionals who are chosen each year, through an application process, by the Ovation Rules Committee. This year’s Ovation Awards eligibility period ran from August 31, 2015 through August 28, 2016. During the 2015-16 voting season, 280 productions were registered for awards consideration by 116 producing organizations, and 3,923 individual artists were evaluated. Voters cast a total of 8,049 ballots. 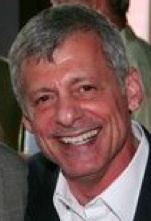 A new Ovation Award statuette will be unveiled at the ceremony in January. Fabricated by local artists, this new design will provide a modern update to its iconic predecessor. LA STAGE Alliance is a nonprofit arts service organization dedicated to building awareness, appreciation, and support for the performing arts in Greater Los Angeles.